Maybe you know who you’re voting for or maybe you don’t. 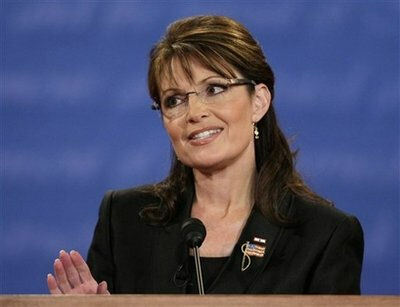 Regardless, Vice Presidential candidate Sarah Palin is under a lot of scrutiny just because she’s a woman. Roxanne Rivera, author of the new book No Crying in Construction offers her advice on how Palin can survive this election and the male-dominated industry of politics. Of course, these are great tips for regular working girls too! Emotional intelligence is the ability to interpret your own feelings and emotions, gauge the feelings and emotions of others, and then use that information to guide yourself and others toward specific goals. In his book Emotional Intelligence: Why It Can Matter More Than IQ, Daniel Goleman found that women tend to be more empathetic than men and are better at relating and interacting with others. Former British Prime Minister Margaret Thatcher was known as a “lady” even while she met the challenges of her office head on. And being a lady didn’t mean backing down from a fight. (One Soviet newspaper of the time even called her “Iron Lady”). Believing in yourself and in your inner strengths will set you apart as a lady, asserts Rivera. A lady knows and keeps her boundaries, has infinite grace under pressure, and takes care of herself. A lady never ridicules or bashes other women or men. A lady makes people feel at ease in her presence. Empathetic people are those who can easily put themselves in someone else’s shoes. Women who succeed in male-dominated fields usually possess a high level of emotional intelligence because they have to spend a good portion of their time reading the emotions and reactions of the men they are working with. Regardless of gender, people want to be treated with dignity and respect, and that can happen only when you are able to genuinely relate to the people you’re trying to lead. Sure, people want a decisive leader, but as the current administration has shown us, decisiveness for its own sake can get us in a lot of trouble. Americans want decisive leaders in executive office, but they want reasonable ones as well. And when people think of a “reasonable” person, they picture someone who thinks rationally, has perspective, and is able to accept her fallibility. A reasonable person exercises sound judgment and has a healthy skepticism. 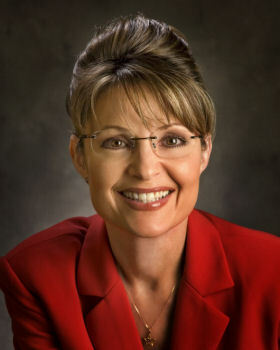 Palin’s attractiveness has spurred the creation of many t-shirts and slogans. While some are clever, many are sexist in that they insinuate that Palin is successful simply because of her looks and not her brains. Many women are still trying to decide who they should vote for on November 4th, but some have already made their decision. Palin should embrace the female supporters that she has already won over in order to garner more support from other women voters. Women are great sounding boards and the more Palin can interact with and learn from them the better.